The results of the assessment were invalid. Now what are you supposed to do? There are some DISC tools that never produce an invalid; a person can blindly select answers or try to game the system, and there will still be results. We need valid and accurate results in order to make important decisions. One of the strengths of the Extended DISC ® Assessment is that a result is not produced if a style cannot be clearly identify. This situation, with very low validity, is called an invalid profile. The Extended DISC® tool is a behavioral inventory designed to reliably identify a respondent’s natural style. It does it by looking for a logical answering pattern and if the pattern can be followed throughout the questionnaire. Does the person select at least one DISC style consistently in their answering? If the system is unable to establish a clear pattern then a invalid will result. 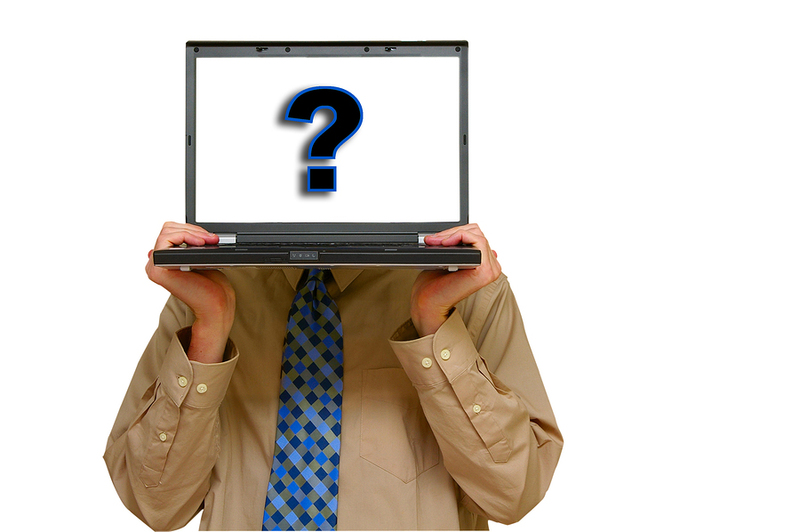 The underlying reason for an invalid profile is that a person did not respond consistently to the 24 questions. As a result, it is not possible to identify the person’s style. Weakness or strength of the system? We may quickly assume an invalid result is a weakness of the system, but it is actually a strength because it provides us with a validity check. If the person is not consistently responding to any DISC style, then we cannot reliably produce any description of the person’s natural behavioral style. Other instruments may not pay attention to the validity of the results, but may produce a report regardless as long as the person has responded. How confident would we be with those results? If you use Extended DISC® assessments, there’s a good chance you will come across an invalid result. The percentage of invalid results varies by country, but the percentages are usually not high. The U.S. has about a 1.5% rate of invalid results. These percentage can correlate with the stability and general trust between people in a department or even a country. If you are working with a group or organization that has a lot of dysfunction or turmoil, then it would not be unusual to see a high percentage of invalid results. You can feel more confident in trusting the results. In fact, the invalid profile message can prevent us from using information that may be inaccurate or misinterpreted. What do you do with an invalid result? It is VERY important to note and to remember that an invalid profile does not indicate a problem. You can simply ask your client to wait 24 – 36 hours from initial assessment and complete the questionnaire again. They can use same access code and the same assessment link. The Extended DISC®Assessment is a tool that measures both the person’s spontaneous response style and also his/her current feelings. In most cases the spontaneous measuring of feelings does not work as actively if the completion of the questionnaire is repeated. Therefore, in most cases the second time will produce a valid result. 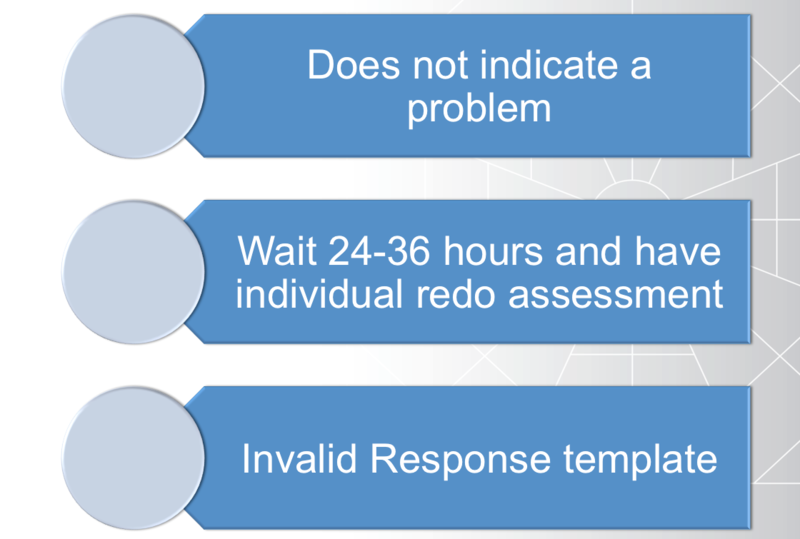 We have a invalid result client response template that can help you better deliver an invalid result. Ultimately the tool is designed to help people make conscious decisions about modifying their behaviors. In order to do so, we must be able to trust the results. So, the next time you receive an invalid result, you will have the information you need to assist your client.